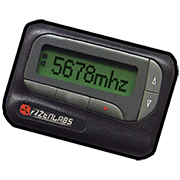 An RF Pager. An audible tone will be produced when a signal is picked up on the listening frequency. Can be set to silent mode.